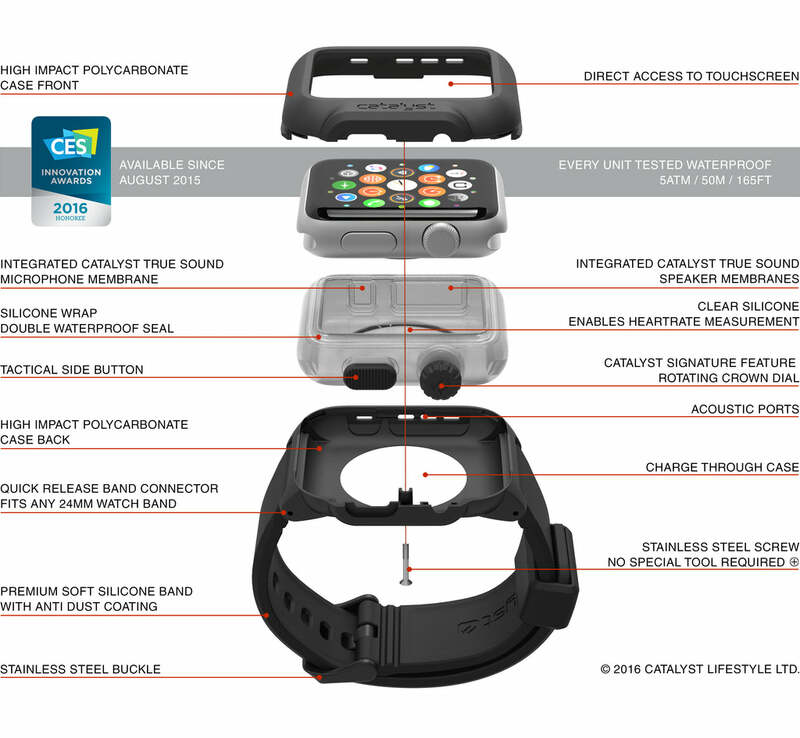 Introducing the first of its kind, a fully functional, award winning, waterproof case for Apple watch. Now you can take your Apple Watch with you everywhere. Features the signature Catalyst rotating crown dial that adds a pop of stylized color to perfectly accent your watch and Catalyst waterproof case.